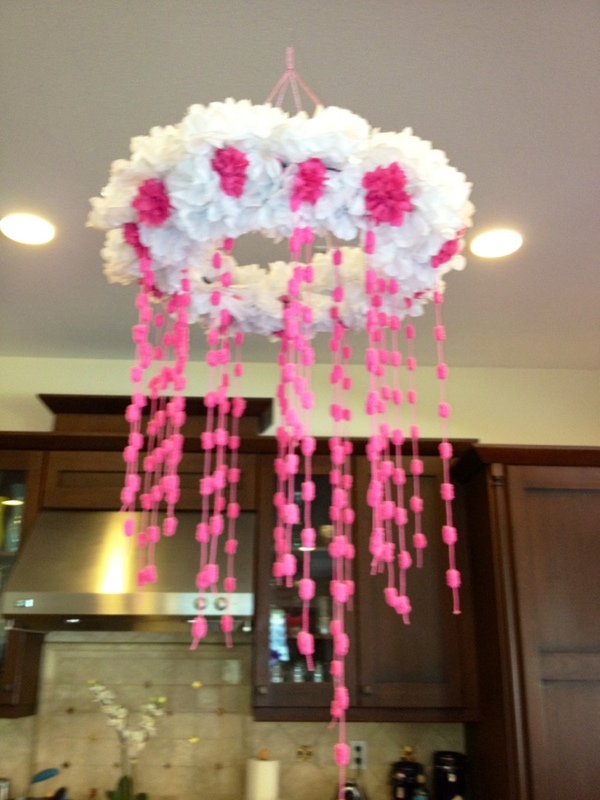 Here is how to make a pomander mobile. Get a large floral hoop from Michael ‘s. Attach twine/yarn to the hoop in 4 places, tie ends together in a knot so it can hang. Buy pretty yarn. I bought soft chenille yarn with puffs. Cut the yarn into various lengths and tie onto hoop. 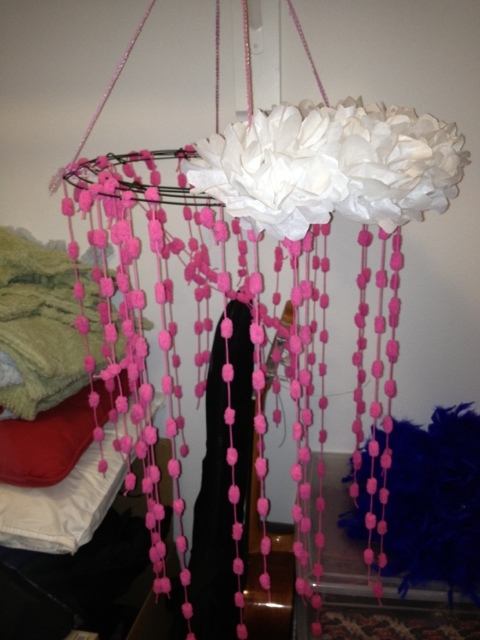 Then attach poms to top of hoop. 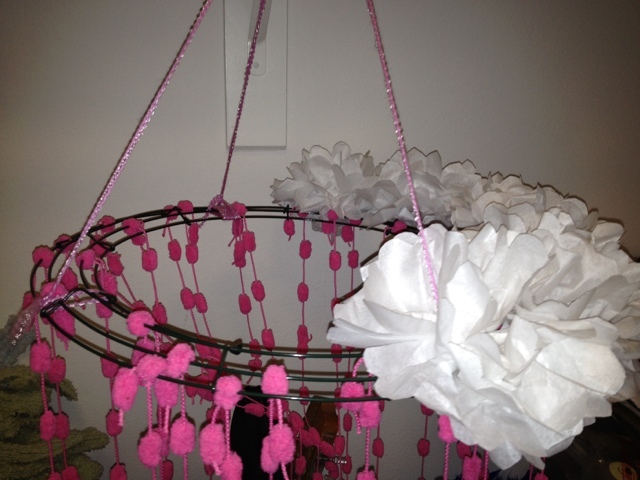 And attach poms to the underside of the hoop. I also added tiny poms of pink for extra color. Voila. 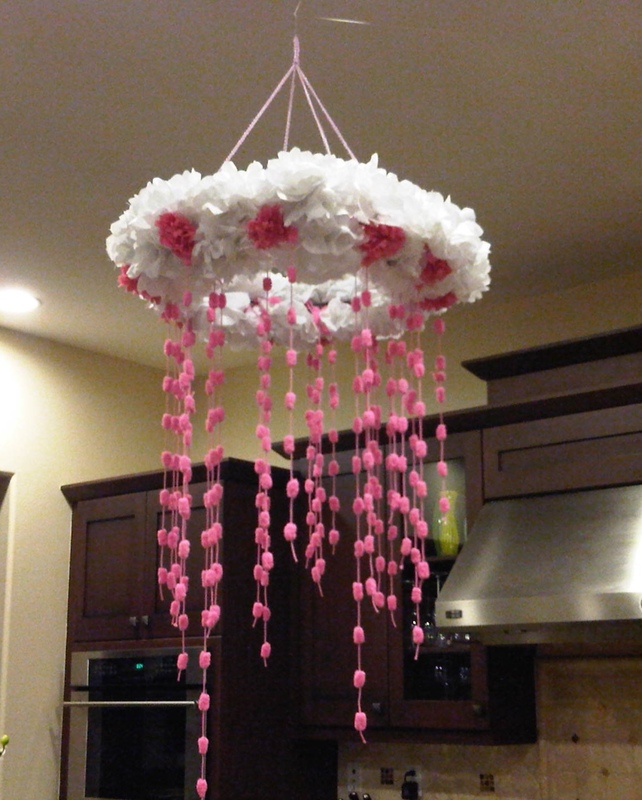 Makes a pretty baby mobile.